Custom Pet Portraits by Robin Zebley: Dachshund Art! 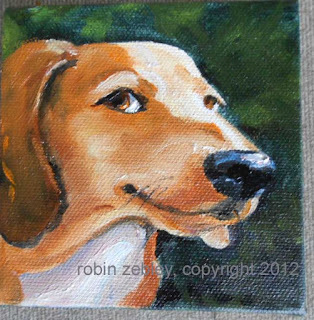 Dachshund oil on canvas portrait. Love the sly look on her face!